HEMI® engines aren’t just reserved for serious gearheads around the Lubbock area. If you’re in the market for a vehicle like the 2019 RAM Tradesman, which runs on a HEMI® 5.7L V8 engine, or any of our Jeep Grand Cherokees, find out more about the benefits of having a HEMI® engine from Stanley Chrysler Dodge Jeep Ram Brownfield. What is the Difference Between a Regular and HEMI® Engine? When the HEMI® engine was invented by Chrysler back in the early 1950s, engineers were trying to find a way to minimize heat loss. This was achieved through the design of the HEMI® engine. Because of the hemispherical shape of the combustion chamber, it allows for more power to be produced to give your vehicle the boost it needs to perform on Hobbs NM roads. At the time the HEMI® was invented, vehicles were mainly equipped with flathead engines. With a flathead engine, there’s far more surface area that loses heat, which doesn’t allow for the same amount of overall power in your engine. HEMI® engines, on the other hand, pack this punch of extra power with their innovative design. Serious Performance: HEMI® engines burn fuel efficiently due to their hemispherical shape, which allows for a enticing amount of horsepower for drivers who need that extra kick of performance around Lamesa. Tried and True: Vehicles with HEMI® engines have built credibility as reliable and long lasting. While this depends on overall wear-and-tear and the vehicle itself, the hemispherical engine style created a compelling revision of the traditional vehicle engine that allows it to produce more without wearing out quickly. Thrill Seeking: For those drivers who enjoy the adventure of the open road in a vehicle that boasts performance, like a Dodge Challenger, having a HEMI® engine only intensifies that rush with more acceleration and horsepower. 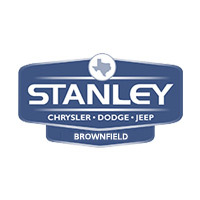 Stanley Chrysler Dodge Jeep Ram Brownfield carries many options with dynamic HEMI® engines in Brownfield. When you’re ready to experience the difference of a HEMI® engine, contact us to set up a test drive. We’re here to help you start your new car buying process. Apply for financing to get started!